Estate law: what is probate and what are probate fees? Some of the most common estate law questions clients have are what is probate and what are probate fees. Probate is a crucial step in the estate administration process. It is a verification by the Court (usually a Judge) that the will in place is valid. It also verifies that the trustees or executors appointed are able to act and administer the estate. The Court confirms the appointment of the executor or trustee when it approves the will. In order to release funds to an executor, banks require a probated will. As a result, a delay in obtaining probate may delay the administration of the estate. Estate administration tax is the tax associated with probate. To find out how the Ontario estate administration tax is calculated, click here. Before making any estate law decisions regarding probate (such as attempting to decrease/avoid probate fees), it is important to consult an estate lawyer. A probate lawyer can assist you to better understand your rights and responsibilities. A power of attorney for property is a document in which the grantor (person granting the power) appoints a person (the attorney) or several people of his or her choosing to act as attorneys for property. Pursuant to the Substitute Decisions Act, a power of attorney for property refers to the power to make financial decisions in the best interests of the grantor. These decisions may include managing of the person’s income and investments, budgeting, payment of expenses, decisions about living expenses and place of residence, etc. A power of attorney for property normally grants the attorney the powers set out therein only when the grantor is found to lack capacity. There are many estate law cases related to the abuse or misuse of power of attorney documentation. It is very important to consult with an estate litigation lawyer if you suspect such abuse. Lack of caution when using a power of attorney for property can result in costly power of attorney litigation. If you are dealing with a power of attorney dispute in Toronto, it is important to retain a Toronto estate lawyer. Section 46 of The Substitute Decisions Act sets out the scope of duties of an attorney with a power of attorney for personal care. Personal care decisions strictly refer to personal hygiene, food, shelter, clothing, and medical care of the grantor. The power of attorney for personal care may also contain “advanced directives” or “medical directives”. The directives address what to do with the grantor if she needs to be kept alive artificially. To find out more, click here. The grantor of a power of attorney for personal care ought to consult and estate lawyer. Estate law in Ontario outlines the duties and responsibilities of the executor of an estate. The executor must carryout the provisions of the will. Additionally, the executor must also ensure that the wishes of the deceased are fulfilled. The executor of the estate should retain and consult an estate lawyer if confronted with any will interpretation issues. Ambiguities in any of the provisions of the will may allow a beneficiary to contest the will successfully. If any of the provisions of the will are unclear, beneficiaries may attempt to hold the executor of the estate personally liable for any damages resulting from the improper administration of the estate. The executor should ensure that he or she is familiar with estate law in order to shield himself or herself from personal liability. There are various circumstances when the executor of an estate may have to be removed by the Court. Additionally, estate litigation lawyers can assist you in coming up with a strategy to protect your rights from an executor of an estate or alternatively as an executor of an estate. An estate lawyer can assist you with the preparation of these documents. Furthermore, you are responsible for keeping these documents updated regularly. Failing to update these documents may result in estate litigation at a future date. More importantly, your family and/or your estate will have to dedicate a significant amount of emotional energy in addition to legal costs if you lose capacity or if you pass away without a proper estate plan. Therefore, it is crucial for you to consult an estate lawyer when you update these documents. Charles Ticker has been a lawyer for over 37 years. 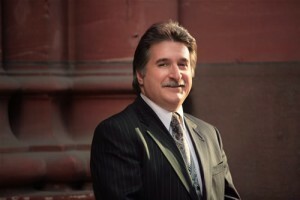 He restricts his practice to estate litigation, estate administration and mediation of estate disputes. If you have any questions related to estate law issues, call to schedule a consultation. The information on this website is not legal advice. It is for informative purposes only. Additionally, contacting us does not mean you have retained a lawyer. Finally, to book a consultation, call estate lawyer Charles Ticker at: 1-866-677-7746.